1. Crowd Sourcing The Family Of Faith - G6ten, Assembling and bringing together the knowledge, talents, gifts, skills and resources of the Body of Faith for The Body of Faith and uniting the business Community and Family of Faith that we may fulfill God's vision for His people... for us all "to be as one", thus leading to more of the life, business and faith God intends for each of us. Over the years, creating and developing the G6ten platform, has led me to becoming a business networking strategist covering a broad range of business networking areas. 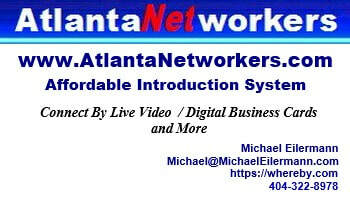 Who Do You Know That Could Use An Extra Stream of Income? Seeing the financial pain and struggle so many people are experiencing, and not having a workable solution, I am able to provide up to three simple and highly effective additional streams of income that can work for 100% of the people 100% of the time. Need Additional Income... Give Me Just 15 Minutes! Truly... I can be your one or two steps closer from where you are now, to where you want to be. And a conversation with me could just give you a life-changing day... Just What If I'm Right? Just What If I'm Right?